 CHARLESTON, SC – Multi Grammy-nominated musician, producer and world-renowned drummer Quentin E. Baxter presents another amazing three-concert series at the Legends Room – Turtle Point Clubhouse on Kiawah Island. Each concert is $25 general admission and starts at 7:30pm. A three-concert package is available for a limited time, for $60. Tickets will be available at www.baxtermusic.com or 843-766-8814. The concert series is sponsored by the Town of Kiawah Island Cultural Events Fund. Artist photos available upon request. 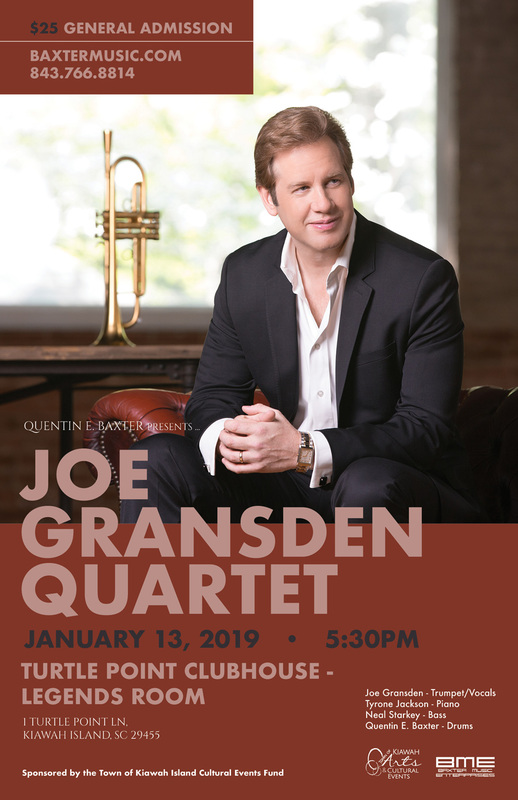 The first concert of the series will feature trumpeter/vocalist Joe Gransden. Accompanying Gransden for the concert will be pianist Tyrone Jackson, bassist Neal Starkey, and drummer Quentin E. Baxter. An accomplished bandleader, Joe Gransden has performed worldwide and released 16 CDs under his name. Renowned for the hard bop approach of his trumpet, Gransden’s singing voice has been compared to that of Chet Baker and Frank Sinatra. Not long after high school, Joe was on the road with the big bands of Tommy Dorsey and Glenn Miller. A number of sideman gigs included Barry White, The Moody Blues, Kenny Rogers, The Temptations, Aretha Franklin, The Whispers, and more. Eventually moving to New York City, he performed with numerous groups, including sub work with Toshiko Akiyoshi and Chico O’Farrill at the famous Birdland Jazz Club. Meanwhile, Joe formed his own group, which performed in Brooklyn each week and included the venerable guitarist Joe Cohn and ex-Betty Carter bassist, Matt Hughes. Like many developing jazzmen, Gransden’s early influences, which include Kenny Dorham and Miles Davis, were easily recognizable in his playing throughout his formative years. Joe Gransden’s growing legion of fans around the country have taken note. A widening schedule has found Gransden performing with his 16 Piece Big Band on the first and third Mondays of every month at Café 290 (Atlanta, GA); The Jazz Corner (Hilton Head Island, SC); The Blue Note (NYC); The Museum of Art and Design (NYC); Spivey Hall (Murrow, GA); and occasionally at Tehema Golf Club (Carmel, California). 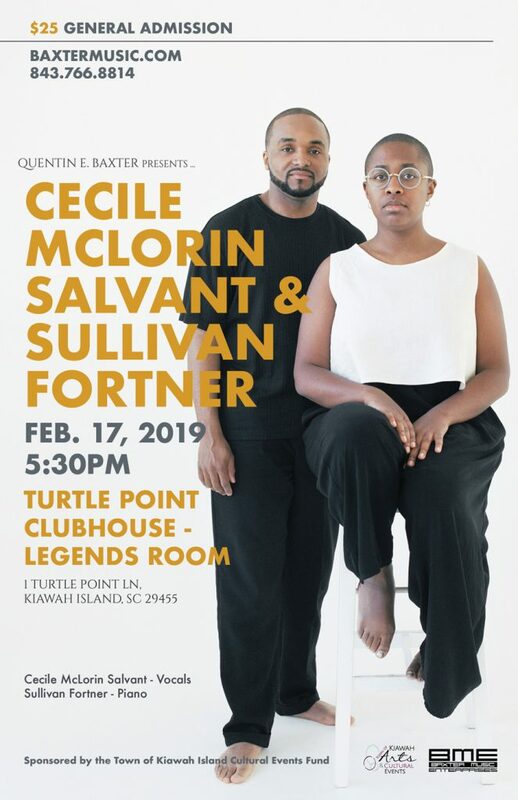 The second concert of the series will feature an amazing vocal-piano duo with vocalist Cécile McLorin Salvant and pianist Sullivan Fortner. The world first learned of the incredible vocal artistry of Cécile McLorin Salvant when she won the prestigious 2010 Thelonious Monk International Jazz Competition. In less than a decade, she evolved from a darling of jazz critics and fans to a multi Grammy-award winner, to a prescient and fearless voice in music today. In life and in music, McLorin Salvant’s path has been unorthodox. The child of a French mother and Hatian father, she was raised in the rich cultural and musical mix of Miami. She began formal piano studies at age five and started singing with the Miami Choral Society at age eight. Following her desire to study abroad, Cécile moved to Aix-en-Provence, France, to study opera and law at the Darius Milhaud Conservatory. It was in France that McLorin Salvant began to discover the deep roots of jazz and American music, with the guidance of instructor and jazz saxophonist, Jean-François Bonnel. McLorin Salvant returned to the U.S. to compete in the Thelonious Monk International Jazz Competition. An illustrious panel of judges – Dee Dee Bridgewater, Dianne Reeves, Kurt Elling, Patti Austin and Al Jarreau – noted her impeccable vocal technique, innate musicality, and gifts as an interpreter of popular song. She has been honored with top spots in Downbeat’s critic’s polls in the categories of Jazz Album of the Year and Top Female Vocalist. NPR Music awarded her “Best Jazz Vocal Album of the Year” and “Best Jazz Vocalist.” Her debut album, WomanChild (2013), received a Grammy Award nomination. Her follow-up releases, For One to Love (2015) and Dreams and Daggers (2017), won Grammy Awards for Best Jazz Vocal Album. Her newest release, The Window (2018), an album of duets with the pianist Sullivan Fortner, explores and extends the tradition of the piano-vocal duo and its expressive possibilities. Pianist Sullivan Fortner, lauded as one of the top jazz pianists of his generation, is recognized for his virtuosic technique and captivating performances. He’s won three celebrated awards: a Leonore Annenberg Arts Fellowship, the 2015 Cole Porter Fellowship from the American Pianists Association, and the 2016 Lincoln Center Award for Emerging Artists. Sullivan’s music embodies the essence of the blues and jazz as he connects music of all eras and genres through his improvisation. As a leader, The Sullivan Fortner Trio has performed on many of the world’s most prestigious stages including Jazz at Lincoln Center, Newport Jazz Festival, Monterey Jazz Festival, Discover Jazz Festival, Tri-C Jazz Festival, Jazz Standard, and the Gillmore Keyboard Festival. Fortner has been heard with other leading musicians around the world including Dianne Reeves, Roy Hargrove, Wynton Marsalis, Paul Simon, John Scofield, Cécile McLorin Salvant, Fred Hersch, Sean Jones, DeeDee Bridgewater, Roberta Gambarini, Peter Bernstein, Stefon Harris, Nicholas Peyton, Billy Hart, Dave Liebman, Gary Bartz, Etienne Charles and Christian Scott. Fortner brings the same sense of musicianship to his recordings as he does to his live performances. His first album, Aria (Impulse Records), has garnered acclaim by The New York Times and Downbeat Magazine and it showcases Fortner’s mastery at both rendering well-chosen standards and composing memorable melodies. Fortner’s highly anticipated sophomore album as a solo recording is slated to be released in 2018. 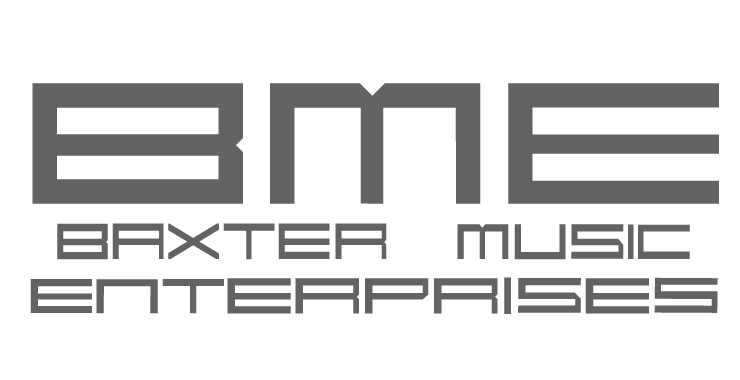 Fortner can also be heard on the recordings of Etienne Charles’s Kaiso (2011), Donald Harrison’s Quantum Leaps (2010), and Theo Croker’s Fundamentals (2007). Fortner’s foray into music education has led him to lead master classes at today’s most formidable music institutions, including Oberlin Conservatory of Music, Manhattan School of Music, New Orleans Center for Creative Arts (NoCCA), Purdue University, Lafayette Summer Music Workshop and Belmont University (TN). A native of New Orleans, Fortner began playing the piano at the age of seven and was hailed a virtuoso before he was out of high school. He has a Bachelor of Music degree in Jazz Studies from Oberlin Conservatory and a Master of Music in Jazz Performance from Manhattan School of Music. The third concert of the series features the legendary jazz pianist Monty Alexander. Accompanying Alexander for the concert will be longtime bassist Hassan Shakur and drummer Quentin E. Baxter. In a career spanning more than five decades, pianist Monty Alexander has built a reputation exploring and bridging the worlds of American jazz, popular song and the music of his native Jamaica, finding each a sincere spirit of musical expression. In the process, he has performed and recorded with artists from every corner of the musical universe and entertainment world: Frank Sinatra, Tony Bennett, Ray Brown, Dizzy Gillespie, Sonny Rollins, Clark Terry, Quincy Jones, Ernest Ranglin, Barbara Hendricks, Bobby McFerrin, Sly Dunbar, and Robbie Shakespeare, among others. In August 2000, the Jamaican government awarded Monty Alexander the title of Commander in the Order of Distinction for outstanding services to Jamaica as a worldwide music ambassador. 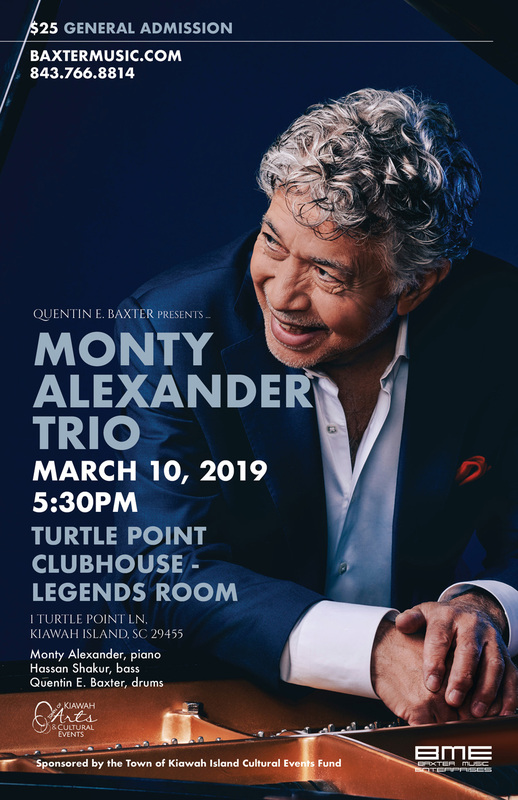 A true jazz legend, Monty Alexander still tours the world relentlessly with various projects, delighting a global audience drawn to his vibrant personality and soulful message. His spirited conception is one informed by the timeless verities: endless melody-making, effervescent grooves, sophisticated [piano] voicing, a romantic spirit, and a consistent predisposition. In the course of any given performance, Alexander applies those aesthetics to repertoire spanning a broad range of jazz and Jamaican musical expression – the American songbook and the blues, gospel and bebop, calypso and reggae. Alexander has been cited as the fifth greatest jazz pianist ever in The Fifty Greatest Jazz Piano Players of All Time (Hal Leonard Publishing) and mentioned in Robert Doerschuk’s 88: The Giants of Jazz Piano. Alexander and his family came to the United States at the end of 1961. Less than two years later, while playing in Las Vegas with Art Mooney’s orchestra, he caught the eye of New York City club owner Jilly Rizzo and his friend, Frank Sinatra. Rizzo hired the young pianist to work in his club, Jilly’s, where Alexander’s trio swung until the wee hours of the morning for Sinatra, and mix of celebrities and iconic jazz musicians like Duke Ellington, Count Basie, Miles Davis, Milt Jackson, and Roy Haynes. He soon became friends wth Quincy Jones and performed and recorded with vibraphonist Milt Jackson and legendary bassist Ray Brown. Alexander recorded and performed with the two jazz giants on many occasions. However, it was piano giant Oscar Peterson who recommended Alexander to Hans Georg Brunner-Schwer, the proprietor of Germany’s MPS label, for which he made a dozen records between 1971 and 1985. By 1977, Alexander was internationally recognized as an upper-echelon master, deeply influenced by Ray Brown’s “let’s party all night” approach to the piano trio function, as documented on two early ‘70s dates with bassist Eugene Wright and drummer Bobby Durham (We’ve Only Just Begun and Perception) and another two with bassist John Clayton and drummer Jeff Hamilton (The Way It Is and Montreux Alexander), then rising stars, with whom he spent, by his estimate, 300 days a year on the road during their 1976-1978 association. Alexander went on to record fifteen sessions on the Concord label between 1978 and 1996 that presented him in swinging trio contexts – five dates on which Ray Brown and guitarist Herb Ellis reprised the roles they played with Oscar Peterson’s drummer-less trio of the ‘50s; effervescent sessions with Brown and drummers Hamilton [Jeff] or Frank Gant; a reunion with Clayton and Hamilton; a meeting with Clayton and former Peterson drummer Ed Thigpen titled The River that addressed spirituals and hymns; another project on which bassist John Patitucci and drummer Troy Davis flow through repertoire that Alexander played at Jilly’s Bar. To date Monty Alexander has recorded over 70 albums as a leader. His collaboration with the Telarc label yielded trio sessions (Impressions in Blue) and live concert recordings (Goin’ Yard). In the late summer of 2005, Alexander traveled to Bob Marley’s Tuff Gong Studio in Kingston, Jamaica, and teamed up with Jamaican top session players to record Concrete Jungle, a set of twelve compositions penned by Bob Marley and reinterpreted via Alexander’s jazz piano oriented arrangements. As a testament to his versatility, The Good Life, on Chesky Records is a collection of songs written and popularized by one of his all-time favorite artists and good friends, Tony Bennett. His second release on Chesky, Calypso Blues, pays tribute to another one of his heroes, Nat “King” Cole. In 2008, with the invitation of Wynton Marsalis, Alexander conceived and directed the acclaimed program “Lords of the West Indies” at Jazz at Lincoln Center, broadcast nationally on BETJ. Alexander returned to Jazz at Lincoln Center in 2009 with a new program, “Harlem-Kingston Express”, which he merged classic jazz with rhythms and vibrations of his native Jamaica. Two collections were released in 2011 that capture the excitement of Monty Alexander’s live performances around the world: Uplift and Uplift 2, a pair of deep-swinging navigations of the American Songbook on JLP Records, and the 2012 Grammy Award nominated Harlem-Kingston Express: LIVE, and its 2014 Soul Train Award nominated follow up, Harlem Kingston Express 2: The River Rolls On, both on Motema Music. The band on both recordings is a double trio – Hassan Shakur on contrabass with either Herlin Riley or Obed Calvaire on drums, and Jamaicans Glen Browne or Courtney Panton on electric bass with Karl Wright on drums. Between the two collections, Alexander has dominated the US radio charts with three #1 spots in 2011, as not only Uplift remained at #1 for several weeks, but Harlem-Kingston Express: Live! rose to #1 on both Jazz and on World Music charts concurrently. During the Stuttgart Jazz Festival in the summer of 2012, Monty Alexander was awarded the prestigious German Jazz Trophy, A Life for Jazz. In 2015, the great modern pianist Donald Vega released With Respect To Monty, which included his interpretations of seven Alexander compositions. Furthermore, 2019 will mark the tenth edition of the namesake Monty Alexander Jazz Festival in Easton, MD, for which he has served as Artistic Director and perennial performer every Labor Day weekend since 2010.